Description: A Celtic dragonfly hovers over the heart of a lotus flower surrounded by the words of the Buddha, reminding us where peace really resides. 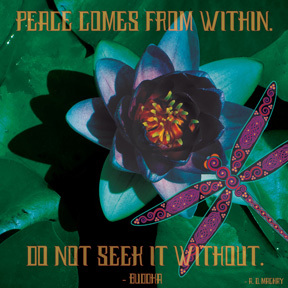 The text reads: Peace comes from within. Do not seek it without.